Within seconds of first meeting someone, we unconsciously judge the person. After forming the first impression, we normally do not go beyond it to look for any accuracy in our perception – unless it seems like a serious situation. While this is an innate characteristic in us all, how we prepare for our first impression with others can pave a road to a positive lasting impression. First impressions are not just towards others. People will walk into a restaurant, house, spa, or even school and instantly have feelings – whether positive or negative. For example, spa owners are taught to keep the entrance to the spa neutral to accommodate both women and men. If a man walks into a frou-frou spa with pink everything, I think his first instinct is to turn and run. But with cool neutral colors and simple spa menus they can understand, the male clientele can instantly appreciate the extra time spent for them. In the same sense, teenagers can walk into a treatment room and think it looks old and out of date. With decor that reminds a teenager of her grandmother, she can instantly consider a certain spa as something her mom would go to – not her friends. And because teenagers are so self-conscious about their looks, first impressions matter immensely to them. Walking around their school halls being called pizza face is not music to the ears of a teenager with acne… and they very well could be searching for the right spa that understands and accepts them. To an aesthetician, this means two things: First, the teenager will be apprehensive not only with the aesthetician, but with the spa, menu items, and the actual treatment. And all of this will be going on while also trying to make their best first impression to their new aesthetician. Keep in mind that a self-conscious young client will feel vulnerable and tense while exposing their flaws in the treatment room. 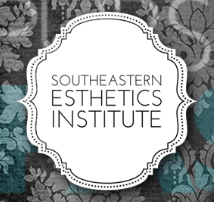 It is the aesthetician’s responsibility to calm those nerves and comfort their worries. One could detail the steps of the treatment so they do not feel in the dark. Making conversations relatable will also assist in comforting them during this new experience. information. A positive first treatment with a teenager can provide a great foundation to a long-lasting relationship. When working with teen skin, help them make their first impressions with others a more positive experience. Agree on a goal with the client during the first consultation. After finding their priorities, discuss a treatment plan to get them on track. Going through their makeup and skin care products should give you an idea of what to work with, as well as asking about their physical activity every day. This is key in developing rapport with your young client. Teen clients are potential life-long clients. Start off on the right foot by making your first impression a positive, lasting one.